It’s hard to imagine that anybody would disagree that spending quality time with others is a necessary part of the human experience. Whether they are part of the church or not, people inevitably seek out others for friendship and support. Isolation has been shown to Of course, the followers of Christ are no different, we may simply have a grander reason for doing so; that is, to mimic the desire of unification that God is shown to have in scripture. Indeed, the concept of “fellowship,” through the lens of the church, is far more than simply spending time with each other. Friendship is only the beginning. So let’s take a look at some passages of scripture that discuss fellowship, and see if we can glean wisdom from them. From nearly the very beginning of human history, it has been decreed by the Creator itself that it is not good for us to be alone. Now, it is important to mention the specific context here: God then created Eve, who was a very specific kind of counterpart to Adam. But we cannot remove the fact that God did not say “it is not good for man to not have a wife,” or “it is not good for man to not have to do all the work by himself.” God simply says that it would be detrimental if the man that was created to remain by himself. As created beings of God ourselves, it is probably safe to say that the same concept applies to us: we should not be alone. The book of Proverbs is an interesting section of the Bible. Nothing else is quite like it, in that it is simply a book of wise advice from Solomon, handed down to his sons. It is full of pithy statements, that, give us some kind of wise truth. It is important to note that any given idea from Proverbs will not always be true, for we all know that sometimes we can find that we are not sharpened by other people. Not every friendship has a positive effect on our life. But we can, without a doubt, say that, in general, if we have good intentions and reflect the love of Christ, the fellowship we have with others will result in stronger relationships and stronger faith. Have you ever thought about what it actually means to sharpen something? When you sharpen a pencil, you are removing pieces of that pencil until you have left a refined point with which you can produce a finer line when you write. I believe that it is also true with us. As we seek to refine our faith, we remove the sin that entangles us. We leave behind our misconceptions about scripture. We even often discontinue relationships that do not have a positive effect on us. Strong fellowship is a part of this. When we regularly meet together and grow more intimate relationships with one another, we have an opportunity to provide accountability to each other, to teach and learn from each other, and to provide emotional support and prayer for one another. God, in an utterly gracious and often perplexing act of charity, has given us permission to share in the task of bringing the earth and its inhabitants to a place of reconciliation with Him. The author of Hebrews claims, in the tenth chapter, that fellowship is a part of this process. We have the opportunity to encourage each other in carrying out the work of love that Jesus modeled for us in his ministry. We should continue to meet together on a regular basis, in order to carry this burden of evangelism as one. Additionally, Hebrews’ author gives us what, in literary terms, would be called “the ticking clock.” He reminds us that we don’t have the rest of eternity to bring all of God’s creation back into the fold, as we sometimes want to believe. The author refers to the “Day,” the day when Jesus will return and His righteous judgment will come to pass. With such a large task to accomplish, it is imperative that we not cease to meet together and encourage each other on in our faith. So, in this brief cruise through scripture, we have learned that fellowship was deemed necessary for humans by the very being that created them, that fellowship helps us to improve ourselves and those we are spending our lives with, and that meeting together regularly for encouragement is absolutely necessary if we are to make progress in the task that our Creator has given us. 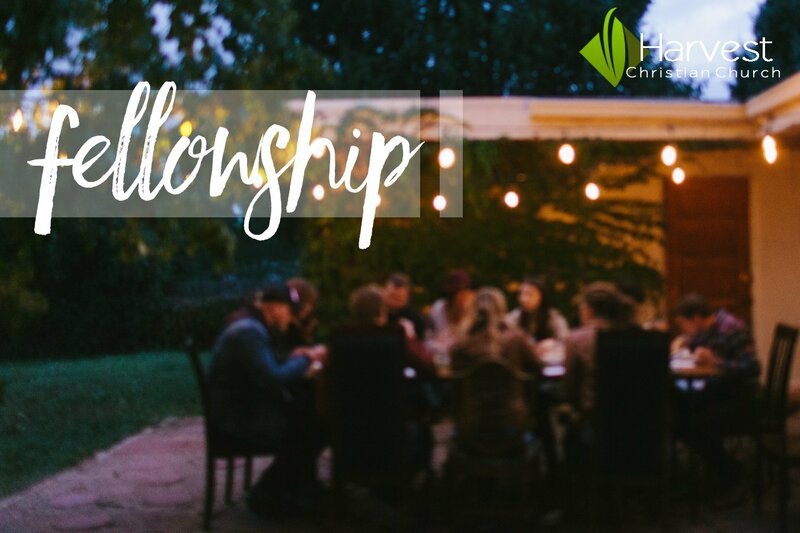 This week, take time to consider the concept of fellowship. Take time to ask yourself if the time you spend in the company of others is going beyond just simple companionship or if you could be doing more to continue the example of close and intimate relationships that we see in the lives of Jesus and his disciples. There are many more words of wisdom regarding fellowship that can be found in scripture. Below, there is a space for comments. Add to the conversation by telling us about some of your favorite moments of unity and relationships in scripture!